Apple Pay is about to launch in Germany. Banks such as HVB and Bunq this morning sent out emails to customers announcing their imminent support for Apple's mobile payment system in the country. 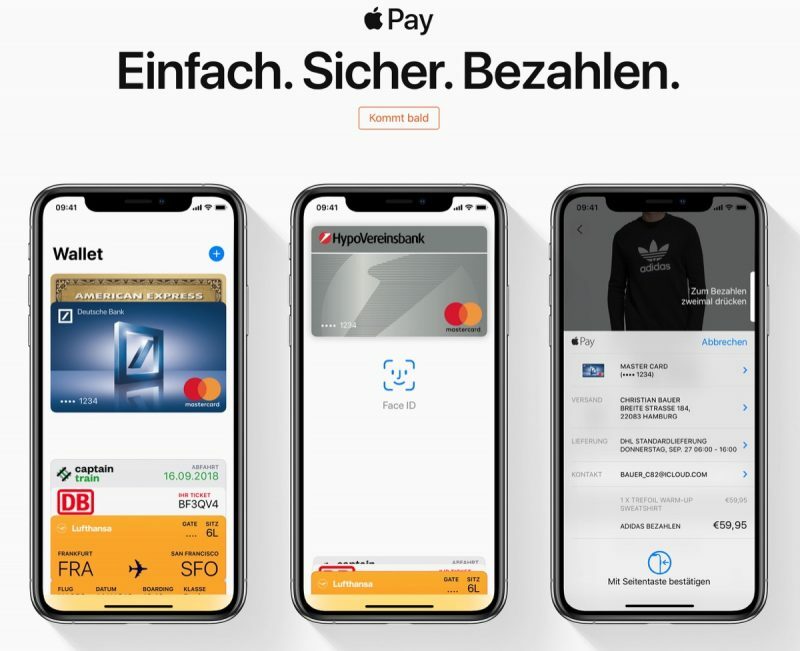 Apple Pay is "coming soon" according to Apple's own regional German website, which lists supported banks and cards, including boon, comdirect, Edenred, Fidor Bank, Hanseatic Bank, and Vim Pay. We'll update this article as soon as we can confirm that Apple Pay is operational in Germany for end users. Apple Pay support in Germany has been rumored for some time, while Apple has been working to establish deals over fees and other factors with German banks. During a July earnings call, Apple CEO Tim Cook also confirmed that Apple planned to bring Apple Pay to Germany in late 2018.